Simply provide information about your hospital visit and we will locate your bill, so you can pay conveniently online. See all the benefits of a career at Nacogdoches Medical Center. 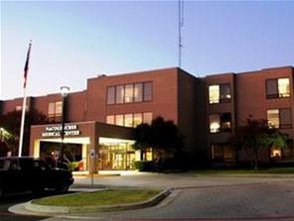 Nacogdoches Medical Center proudly celebrated 40 years of service in 2014. Since the beginning, we have always been focused on the future, frequently undergoing expansions and renovations to remain relevant and ensuring we were offering East Texas the quality care and range of services. We believe in a diverse and inclusive environment, one that is grounded in our dedication to the health and well-being of all people. Respecting, nurturing and encouraging diversity of thought, background and experience contribute to positive work environments that result in exceptional patient care.